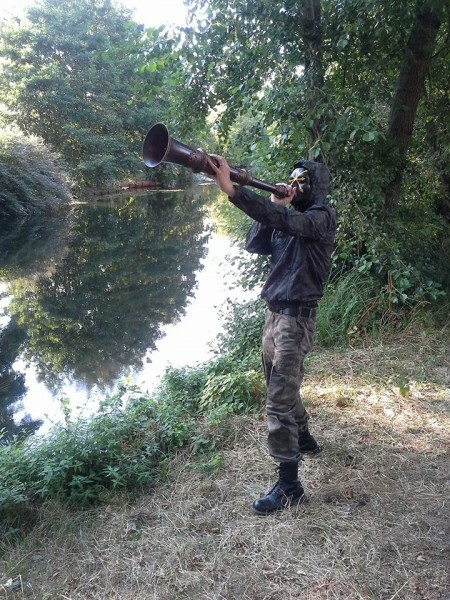 BARBAROSSA UMTRUNK « Dark Military-Ambient/Post-Industrial » militant project from France who deserves an Apocalyptic & Sacred Soundtrack of flesh & steel for Eurasian Youth. The Band was born in 2005 around Paris in France, first release was Scontrum Act V on War Office Propaganda with a first line-up (Ra Kha, G.C, Maya M & Baron Von S) for a short period. Some months later the band becames a duo composed by G.C. and Baron Von S. « Regnum Sanctum », the first full length was released on SkullLine at the end of 2008. Between the years 2008 and 2010, some new acts were released and have been published on SkullLine. In 2010, Baron Von S., who was the only survivor of the band, after departure of G.C. at the end of year 2009, take the decision to make contact with russian label UFA Muzak. 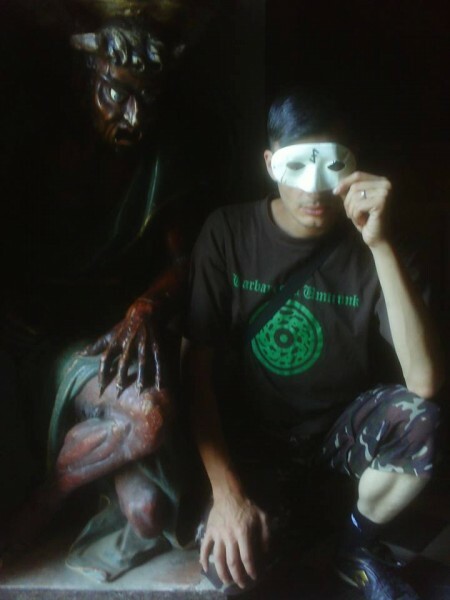 So a third full length album « Wehrwolf Dharma » was produced for UFA Muzak, limited to 500 ex in January 2010. This album more conceptual than before was an Apocalyptic mix of Shamanic Ritual Industrial and Neoclassical/Orchestral Hymns. Then, during the same year, in Summer 2010 more exactly, was released a 4th opus named « Agharti » on Twilight Records. Splits with many bands like Schattenspiel, Kazeria/Dronerune, Saturn Form Essence, Escuadron de la Muerte, Vir Martialis, TSIDMZ or Front Sonore were published during the years 2012 -2015, these releases were dedicated to figures like Miguel Serrano, Rudolf Von Sebottendorff or the french writer Jean Parvulesco or even René Guénon, Julius Evola, Mircea Eliade, Henry Corbin and Raymond Abellio. During the sames years, three full albums were also produced: Der Talisman des Rosenkreuzers (UFA Muzak), La Fraternité Polaire (Twilight Records), La Fosse de Babel (Old Europa Café). Since the year 2012, Barbarossa Umtrunk is also close partner, ruler and collaborator of the Eurasian Artists Association which fight for the 4th Political Theory of Aleksandr Duguin and for the forthcoming Great Eurasist Imperium of the End under a multipolar “Weltanschauung”. Since the end of 2012, Baron Von S under the pseudonym of « Guetteur de Lune » have also release on SkullLine label, “Sinus Medii” the first opus of his side-project called Cydonia and which is based upon cosmology and « stellar » black mysteries from outerspace. A second album “ Cygnus X-3” has been released for free download on the french netlabel Cyanur Productions during Spring 2013.